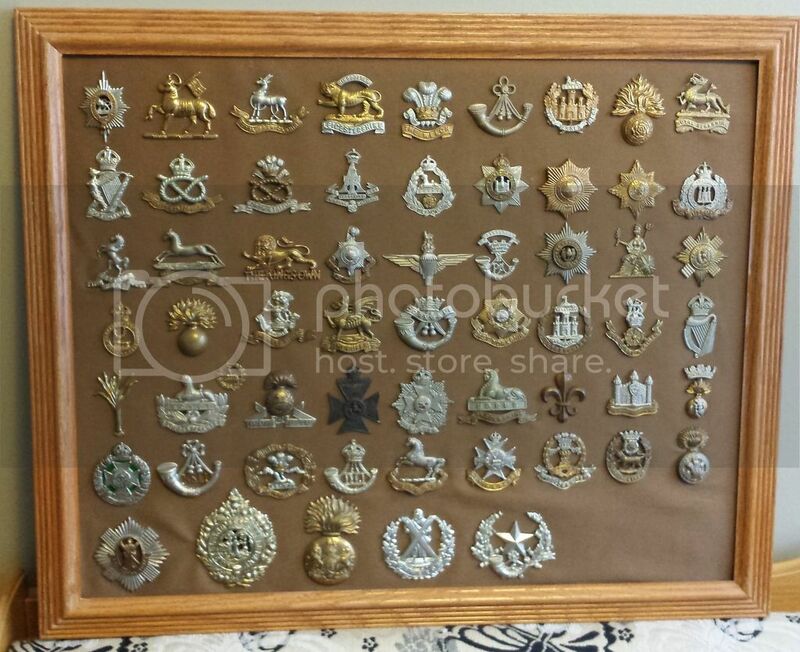 Any interest in old army badges? Belated post, but nice setup! I have my granddad's medals as well but they're still in their issued boxes and the ribbons are a little rough - I actually doubt he ever wore them. Just for fun, an update of some of my British badges. The frame of the infantry badges is almost full, although I'm on the hunt for a bigger one since I still need quite a few to complete the set. I may separate the regular army and territorial regiments into separate frames to save space - I prefer older frames to go with the old badges so I mostly browse second hand shops for throwaway prints, meaning it can be tough to find one in the size I want. 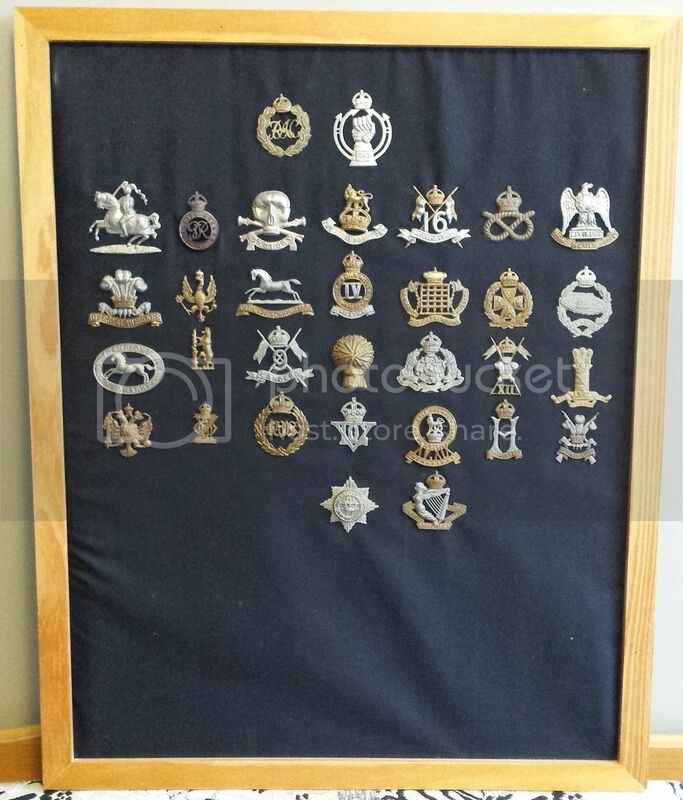 The armoured badges are coming along nicely, I have almost the full set of regular badges (less the 6 regiments that were raised for hostilities only; of the 22nd through the 27th regiments I only have the 23rd Hussars), however the Yeomanry badges are still a lot more sparse, being as they're a little more spendy to get. Last edited by Nyles; 12-12-2016 at 09:18 PM.